The outer suburbs will play a critical role in deciding which party will form government after the Federal Election in May. What is the state of play on the first priority of the NGAA's Catch Up with the Outer Suburbs campaign - Get 5 million people to work, study or home on time? The challenges of responding to rapid population growth in the outer suburbs of Australia’s capital cities play a starring role in the 2019-20 Federal Budget. 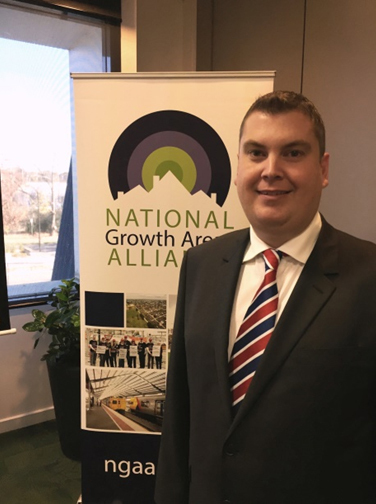 Mayor Glenn Docherty (Playford, SA), Chair of the National Growth Areas Alliance which represents 21 Councils in fast growing outer suburbs, welcomed the long overdue focus on urban infrastructure. The 2019-20 Federal Budget has an undeniable focus on infrastructure and the cross portfolio response to population growth (outlined in Planning for Australia’s future population) has put the challenges and opportunities of NGAA members front and centre. The significant expansion of investment in the Urban Congestion Fund is a strong indication that our transport issues are well and truly on the Government’s agenda. The 2019-20 Federal Budget will be handed down tonight amidst a flurry of funding announcements, many of them from the current Budget's $1 billion Urban Congestion Fund (UCF). We are looking for a continuation of the UCF to help catch up with infrastructure demand in growth areas, along with other items from our Federal Budget Submission.